Nursing is the most preferred health care profession in the United States. If you are looking for a career that enables you to care and supervise the chronically ill people, then you can opt to become a registered nurse. RNs work to promote health, and help patients so that they can cope with their ailments. Registered nurse schools in Iowa confer its students with the best career opportunities. The following are the indispensable requisites for every candidate to get admission in registered nurse school. Applicant’s age shouldn’t be less than 18 years. He/she should submit the proof of GED completion or high school education. Clear the Test of Essential Academic Skills (TEAS Test). Achieve minimum individual scores of 69% for the TEAS Reading; 63% for the TEAS Mathematics; 60% for the TEAS English and Language Usage. Submit a copy of current Iowa LPN licensure. It is obligatory for the applicants to clear the criminal background screening and drug test. A valid photo ID, as well as address proof should be submitted. Different institutions can set requirements as per their norms, but the prerequisites of nursing programs that are accredited by the American Association of Colleges of Nursing or the Accreditation Commission for Education in Nursing are standardized. Bachelor of Science in Nursing (BSN): It is a comprehensive degree that furnishes students with profound knowledge in nursing and health care. It takes 4 years to complete the coursework, which include liberal arts, sciences, nursing theory, community health and management techniques. Associate Degree in Nursing (ADN): It is a degree coursework of 2 years that prepares student for an RN role at a basic level. This course is offered by many community colleges. The coursework of ADN covers Fundamentals of Nursing, Health Science Physiology, Developmental Psychology, Health Science Microbiology, Interpersonal and Small Group Communication. Accelerated BSN Programs: This curriculum is designed for those students, who choose nursing as their line of work after graduating from some other discipline. It takes about 15 – 18 months to finish the entire coursework. 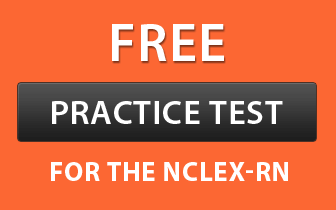 After completing one of the above courses, the candidate becomes eligible for appearing for the National Council Licensure Examination for Registered Nurses (NCLEX-RN). RN to BSN: This program is intended for associate degree and diploma holders, who are already working as an RN and want to enrich their nursing skills by earning the BSN. LPN to RN: The program is specially designed for LPNs (Licensed Practical Nurses), who desire to pursue an advance course in nursing. Master of Science in Nursing: Masters Degree in nursing is ascribed by the Commission on Collegiate Nursing Education. This program offers an opportunity to professional nurses to thrive their career in the health care sector. Doctor of Nursing Practice (DNP): The DNP coursework prepares nurses to work as expert clinicians by providing knowledge about the latest technologies. There are a number of colleges available to the applicant. But, before taking admission in any of these colleges, ensure that it is approved by the Iowa Board of Nursing.